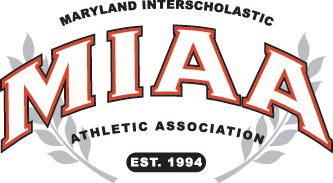 Two highly decorated track and field programs, both knocked from their championship perches last spring, restored their glory, Tuesday afternoon at McDonogh School, as Gilman won the MIAA championship meet and McDonogh won the IAAM title. Gilman was the MIAA champion in 2015 and the Greyhounds won four straight titles from 2009-2013. Last spring, however, Mount St. Joseph took the title. The Gaels made a strong run at a repeat in 2017, but Gilman outscored St. Joe 155.5-151 to recapture the championship. McDonogh was this with 105 points and Loyola Blakefield was a distant fourth with 83 points. Gilman got individual titles from Tory Young, in the 400 meters (49.09), and Ayende Watson, in the triple jump (47-05.00). The Greyhounds also won two relays. The 4×800 squad of Adero Mandala, Keith Roberts, Eric Gibson and Young raced to victory in 7:54.62 and the 4×400 team of Alton Machen, Nichi Pandey, Adern Mandala, Young got the gold medal in a time of 3:26.12. Ikenna Obi won two individual titles for Mount St. Joe and was part of two winning relays. Obi won the 100 meters in 10.66 and the 200 meters in 22.27 and ran anchor legs on the 4×200 and 4×100 relays. Also winning titles for the Gaels were Todd Barnes in the 110 hurdles (14.52), Christian Carter in the shot put (51-02.00) and Aaron Johnson in the 300 meter hurdles (39.93). Joining Obi on both the 4×200 (1:29.59) and 4×100 (42.01) were Juan Mendoza, Chris Hailey, and Darren Dunmoodie. McDonogh’s Dalton Hengst, the MIAA’s undisputed king of long distance won three titles – the 3200 meters (9:31.32), the 1600 meters (4:41.25) and the 800 meters (1:56.82). In addition, DeJuan Ellis won the long jump (24-05.50) and Mo Hudson captured the high jump (6-02.00) for the Eagles. Other individual champions in the MIAA meet included Dalton Nichols of St. John’s Catholic Prep in the discus (156-10) and Loyola’s Andrew Ankeny in the pole vault (12-06.00). In the IAAM meet, McDonogh’s Jada Seaman was the most decorated champion. Seaman won the 100 meters (11.87), 200 meters (25.11) and long jump (19-01.75). AJ Davis also won two titles for the Eagles, capturing the shot put (41-08.75) and discus (118-07), while Aleah Nelson won the 400 meters (56.82). McDonogh also won two relays. Diamond Crowner, Jade Wells-White, Treasure Valdez and Soleil Bellan won the 4×100 (51.20) and Crowner, Bellan teamed with Ayobami Olatiadaye and Nelson to win the 4×400 (4:05.65). Maryvale capture five championships, including Paige Adams in the 110 hurdles (15.83), Emily Craig in the 3200 meters (11:08.82), Sydney King in the high jump (5-00.00) and Bethany Wheel in the pole vault (8-06.00), as well as the 4×200 relay of Gabby Haley, Caroline Abscher, Courtney Kenny and King (1:41.73). Samantha Facius was a three-time champion for Mount de Sales, taking the 1600 meters (5:00.06) and 800 meters (2:17.92), and running to victor in the 4×800 relay (9:42.31) with Katerina Boutselis, Amelia Getka and Erin Kosloski. The other individual champions were John Carroll’s China Chuku in the 300 meter hurdles (46.20) and Bryn Mawr’s Mary Duncan in the triple jump (35-08.25).